Matt and Jake revisit their pre-season predictionson this Firday episode of The Cheap Seats. Some good, some bad but all come with reasoning and defense. The C Team also previews the weekend of football and review the past. Keith Hoehne also joins the crew for his weekly, "Where in the World is Keith?" segment. You won't want to miss his expierience in Gainesville and where he is headed next. 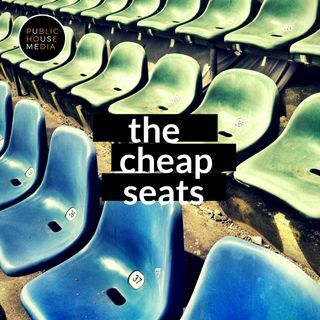 All that plus some NHL talk, predictions and the poll question on this espiode of The ... See More Cheap Seats. Listen in wherever you access your weekly podcasts.